Microsoft Virtual Earth (rebranded as Bing Map in middle of 2009) is a platform to visualize location based data over a simple web connection, and is a powerful service that renders interactive maps directly in web pages. By combining the map images provided by Microsoft’s platform with our custom data, we can create an interactive experience for end users to do the location-related searches. 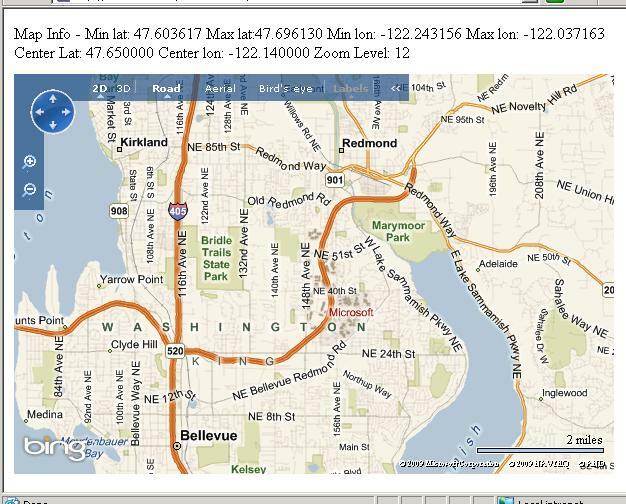 VE map initial location and scale can be set in the loading. 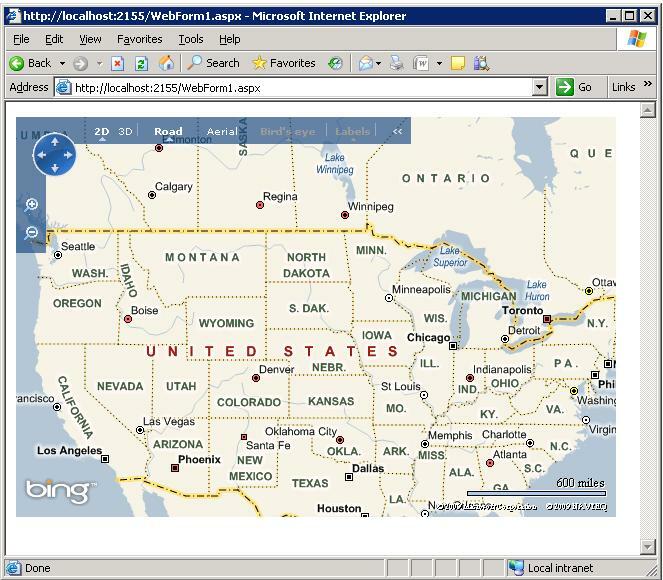 VELatLong object is passed to LoadMap method to locate the central point of the map, and view level or zoom level can be set from 0 – 19 (default 4 showing the most part United States). To get the map geo info, we use MapView object, and the minimum and maximum latitude/longitude values of the map can be read by map’s corner points. 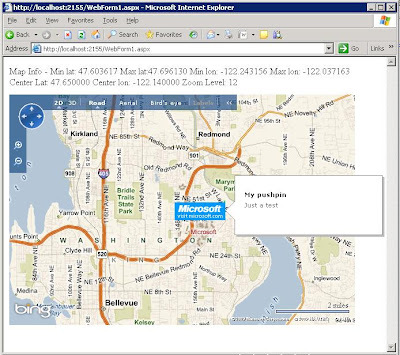 Following page source illustrates how to initialize a map centering at Microsoft with scale of city view, and how to get map information. Pushpins are visible locaters on the map. Pushpins can be used to show location specific landmarks or custom data. The pushpin is abstracted in a VE Shape object, and the Shape object model allows users to customize the UI shown on the map. With common DHTML techniques, we can substitute images, controls and dynamic layers for the default pushpin control. Note that we only show the pushin data when the zoom level is greater than 15, and won’t add any pushpins on the map when the scale of the map is too big. 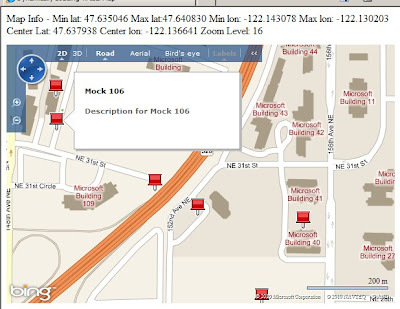 In this article we examine a few simple scenarios of using Microsoft Virtual Earth. 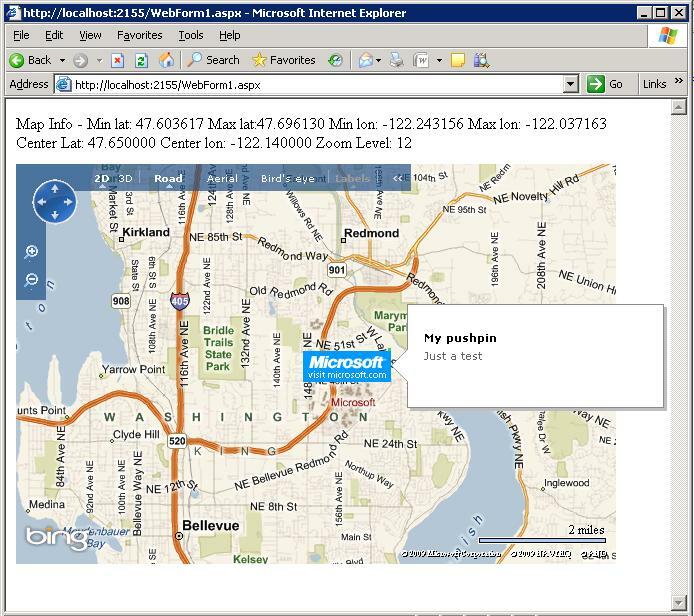 In reality we can build very powerful location-based web applications using Microsoft Virtual Earth as a platform.